Are your photos zoomed in when setting as wallpaper? Wallax app has 100s of options to solves the wallpaper zooming issue. - Scale & Resize your wallpapers on black, white, color, gradient or blurred background. - Fix your wallpaper in few taps. - Make minimal wallpapers by using Color, Gradient, Pattern, Bokeh and Text options. + Refection - Adds reflection to make your photos to fit the correct wallpaper size. + Tile Photo - Repeats the photo to make a wallpaper. + Frames - Combine two or more photos to make a wallpaper. + Shapes - Mask your photo to predefined shapes to make wallpapers. Added support for latest iPhone Devices. I can no longer reproduce the bug I recently experienced and described below, so perhaps it was an iOS bug and/or memory leak. Therefore, I’m happily restoring my 5-star rating. Nov 2017 v2.5.1. Disappointed, since Wallax has long been my favorite wallpaper editing app. I’m lucky enough to have the new iPhone X. Unfortunately, the blur background feature doesn’t seem to be working for me. When I use that feature, even though the blurring appears in the “Preview” in the app, once I save the image, the blurring is gone in the image that’s saved to Photos. There even appears to be some weird distortion or pixelation happening. This happens for me in every image I attempt the blurring of the background. Since the iPhone X’s screen size is different, I’d hoped to be able to use some of me favorite wallpapers from my earlier hardware, but can’t until this bug is fixed. [new version] Unbelievably robust image editing control in this new version. I can't believe this is positioned just as a wallpaper editing app; it has so much more in it. And it's free!!! 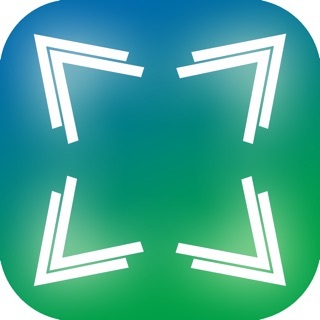 [earlier review] This app has worked really well for what I've wanted to do (mostly to use the "pad" function so I can use some of my favorite iOS 6 wallpapers with iOS 7's cool 3D parallax effect). It is so close to being perfect, but there are a couple things I would like to see updated. I realized that the saved images are slightly too tall. If I want it to be exactly the size of my iPhone X screen, I have to crop it a little. Minor annoyance, but felt worth mentioning. Also, I think it would be nice being able to move the background blurred image like you can the main pic. That way if I wanna zoom in on the pic a bit, I can slide the background side-to-side to match it up better. I would also like it if photos could be saved closer to its native resolution instead of forcing it more towards the screen res. Again, rather minor but still worth mentioning. But this is a great app that I'll continue to use for a while! UPDATE: The new update fixes all of the crashes! Thank you for getting out a new version so soon!!! Amazing app, easy to use, does just what it says! Since I got my iPhone X and updated the app for iPhone X support, I get as far as saving the image, and it crashes and closes without saving EVERYTIME! Pease patch this ASAP! The issue has been fixed. Kindly update the app. Thank you. FitWallp - Fit to wallpaper !